Rounding out a series of three posthumous releases from Jimi Hendrix’s estate, Both Sides of the Sky features 13 studio recordings – 10 of which have never before been released. All but two tracks on the album were recorded during a very fruitful period in Jimi’s career, from 1968 to 1970, when Hendrix was experimenting with his new project the Band of Gypsys. The new power trio featured Billy Cox on bass and Buddy Miles on drums and reflected a huge shift in Jimi’s approach to not only his live performances, but also how he crafted his music in the studio. The trio was a hot bead for extended improvisational sessions and known for blending a variety of different genres together into one melting pot. Together the trio recorded one of the greatest live albums of all time, perfectly titled Band of Gypsys, at the Fillmore East over the course of two-nights from December 31st, 1969 and January 1, 1970. The two shows were promoted by legendary concert promoter Bill Graham as an evening with “Jimi Hendrix: Band of Gypsys,” despite the fact Hendrix’s breakup six months prior with his previous band, The Jimi Hendrix Experience, hadn’t yet been fully publicized. The new set of previously unreleased studio material is especially important to highlight the growth and development of Jimi’s sound. During this time, Hendrix was pushing his boundaries to blend more of a Blues and R&B direction with soulful lyrics. “Power of Soul” is a great example of the sheer prowess and power behind not only Jimi’s genius musical approach, but also this huge paradigm shift in his artistic creativity. There’s no doubt Jimi helped push the boundaries of the electric guitar and he did that by improvising in the live setting where chaos was not only welcomed but encouraged. In this studio effort, we hear the same catalyst of experimentation, only much more reeled in and calculated to demonstrate an overall new structure and sound for his new project. 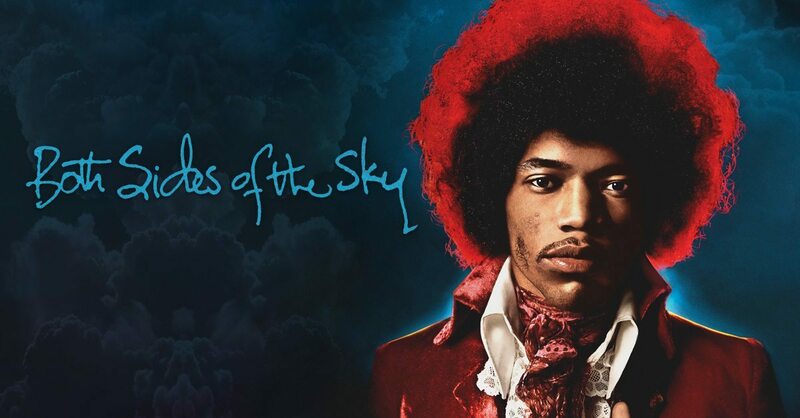 Both Sides of the Sky is sure to draw mixed reviews from even the most casual Hendrix fans. Jimi only sings on about half of the tracks on the album. Three songs that appear on the album aren’t even Jimi’s original work (“$20 Fine” and “Woodstock” were originally recorded by Stephen Sills and “Georgia Blues” is a Lonnie Youngblood number). While it’s nice to hear Stills take the lead vocals on his own work, Jimi only contributes on the bass for this version of “Woodstock” leaving fans yearning for Jimi to pick up the axe and flex his true talents. Overall the album features many different demos and studio jam sessions culled from the tail end of Jimi’s career and that much alone boasts enough nostalgic purposes for this collection of songs to be treasured. However, in the grand scheme of things, one can’t help but to wonder if Jimi would have ever signed off on this release which at times can feel underwhelming and unfinished. Check out the kaleidoscope music video for “Lover Man” below.